SHOFCO combats gender inequality and extreme poverty in urban slums by linking tuition free schools for girls to holistic social services for all. The SHOFCO model elevates girls while connecting community transformation to women’s empowerment. Our ecosystem of services enables everyone to reach their full potential. Our holistic services change communities today: we improve health, provide economic opportunity, work to end gender-based violence and create sanitation systems that offer dignity. Tomorrow, our girls will become next-generation leaders, disrupting the systems that hold poverty in place. To be responsible for assisting in installing, operating, and maintaining computer networks, hardware, and software, and communication systems. This role promptly responds to issues with existing systems – aiming to fix them for the users. This includes capturing all details and categorizing them, prioritizing, investigating and fixing problems. It also includes escalating as required. The role is also responsible for fully documenting common fixes and processes. When working on projects, this role includes supporting the systems administrators, this means documenting solutions, investigating options, organizing solution workshops and working with partners to answer questions. Both these functions require communication skills, organizational skills, IT knowledge and an ability to learn quickly and solve problems. Ability to produce accurate documentation is essential. o Configure hardware and software, set up peripherals such as printers or routers, repair equipment, and provide daily support for computer users. o Respond to calls and e-mails regarding computer networks or systems. o Manage inventory of software licenses, software application, hardware components and IT supplies. o Assist in preparing, maintaining, and upholding procedures for logging, reporting, and statistically monitoring PC performance. o Accurately document instances of hardware failure, repair, installation, and removal. o Assist in developing long-term strategies and capacity planning for meeting future computer hardware needs. o Support development and implementation of new computer projects and new hardware installations. o Assist in equipment set-up and software installation and updates. o Assist in implementing firewalls and security devices to ensure network security. o A degree or an Advanced Diploma in Information Technology/ Systems or any other related field. o CCNA Certification is a must. o At least 3 years experience in User Support, Networking and general IT operations. o Proven track record of troubleshooting and problem-solving capabilities. o Experience in user support is key. o Teaches Numeracy, Kiswahili and any other subject to students in a classroom, utilizing course of study adopted by MSG, and other appropriate learning activities. o Develops lesson plans and instructional materials and provides individualized and small group instruction in order to adapt the curriculum to the needs of each student. o Uses a variety of instructional strategies, such as inquiry, group discussion, discovery, etc. o Translates lesson plans into learning experiences so as to best utilize the available time for instruction. o Establishes and maintains standards of student behavior needed to achieve a functional learning atmosphere in the classroom. o Evaluates students’ academic and social growth, keeps appropriate records, and prepares progress reports. o Communicates with parents through conferences and other means to discuss students’ progress and interpret the school program. o Identifies student needs and cooperates with other professional staff members in assessing and helping students solve health, attitude, and learning problems. o Creates an effective environment for learning through functional and attractive displays, bulletin boards, and interest centers. o Maintains professional competence through in-service education activities provided by professional growth activities. o Selects and requisitions books and instructional aids; maintains required inventory records. o Supervises students in out-of-classroom activities during the school day. o Administers group standardized tests in accordance with school and national testing program. o Participates in curriculum development programs as required. o Participates in faculty committees and the sponsorship of student activities. Interested applicants should send their applications together with a detailed CV to, jobsmathare@shininghopeforcommunities.org quoting their current and expected salaries and TSC numbers. The Subject should clearly indicate the position being applied for. Applications without this information will not be considered. Applications should reach us no later than 15th April 2019. Only shortlisted candidates will be contacted. 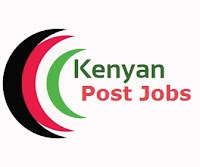 The post NGO Jobs in Kenya – SHOFCO appeared first on Kenya News Alerts.